I have not given my sister a Christmas gift yet. I think it would be just divine to send over to her microphones for her and her housemates' use. 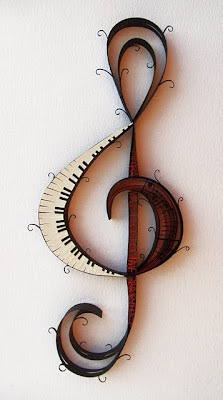 But since I really cannot afford these at the moment, I went over to Pinterest and saw this lovely musical inspiration which is perfect for my sister who is a Music Teacher. It's so her and I love it. I wish I could ask someone to create something like this for her.